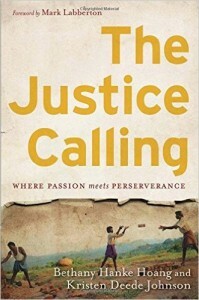 The Justice Calling: Where Passion Meets Perseverance, a meaningful read written by two women with a heart for loving God’s children. Bethany Hoang has seen firsthand the injustices of the world through her work with International Justice Mission. Kristen Johnson, associate professor of theology and Christian formation at Western Theological Seminary, teaches the thread of justice and righteousness found in Scripture. Together they’ve created a piece of work explaining and encouraging readers to step into what God has commanded from Genesis to Revelation. Listen to their words. Hear their passion. Buy their book. Read the stories. Go into your neighborhood, your community, the world and care for our brothers and sisters. 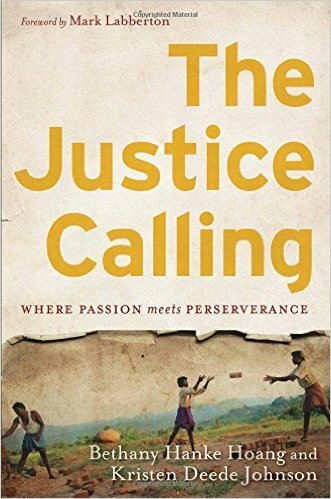 Subscribers to my monthly emails are automatically entered to win a copy of The Justice Calling: Where Passion Meets Perseverance. Are you on the list? Sign up here. *Congrats Deanie Grasso! You won a copy of The Justice Calling.